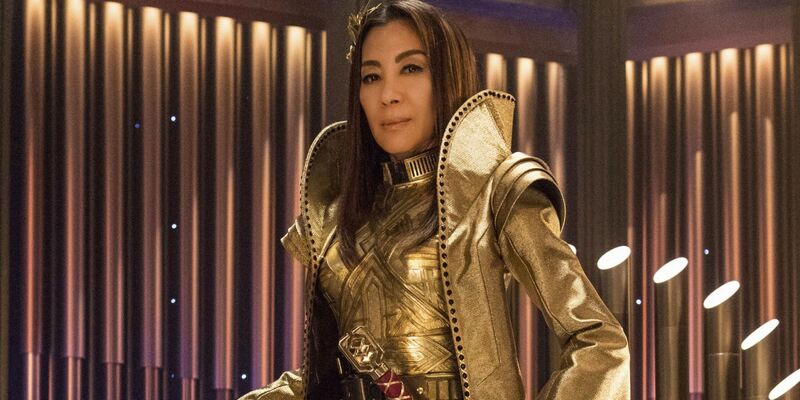 Michelle Yeoh is in talks to reprise her role as Emperor Georgiou for her own Star Trek series. CBS All Access launched Star Trek: Discovery last year and are moving quickly to expand the universe. If a deal can be reached, the first spinoff will be led by Yeoh. Yeoh was a major cast member of Star Trek: Discovery during the first season alongside Sonequa Martin-Green, Jason Isaacs, and Anthony Rapp. As the commanding officer of USS Shenzhou, Captain Philippa Georgiou led the ship with a steady hand until she was killed. However, Yeoh was able to remain on the show on account of playing dual roles. It was revealed in the show’s first season that the Mirror Universe’s Emperor is Georgiou, allowing Yeoh to play a completely different version of her character. 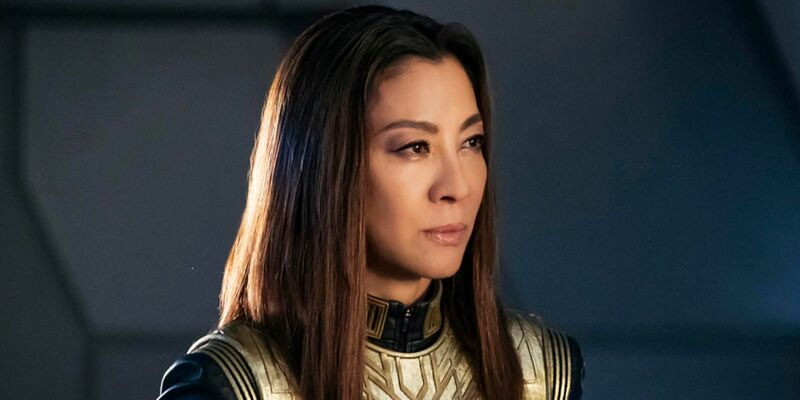 It is this version of Georgiou that will return for season two of Star Trek: Discovery, but the universe is now looking to expand Yeoh’s role even more. Deadline revealed that Michelle Yeoh is in early talks with CBS All Access to star in a Georgiou standalone series. Such a spinoff is still in the early stages of development, and her involvement relies mostly on whether or not Yeoh’s schedule will allow her to star. Along with a number of projects Yeoh has in the works, as well as the sequel to Crazy Rich Asians, schedule restrictions may get in the way of securing a lead role in a brand new series. That said, if a deal can be made quickly, then this spinoff could indeed happen. As revealed in a deleted scene from season one of Star Trek: Discovery, Emperor Georgiou received an invitation to join the mysterious organization Section 31. This secret division of Starfleet is their black ops level operation and was teased on several occasions to be working in the shadows within Star Trek: Discovery. The report states that a Yeoh-led spinoff would likely focus on events revolving around Section 31 following whatever story season two of Discovery has in store for them. Even though the spinoff has yet to be officially confirmed, CBS All Access has confirmed prior to this news that it will be considering spinoffs for every Star Trek: Discovery character. That said, even if the streaming service doesn’t ultimately follow through with Yeoh’s spinoff with Georgiou and Section 31, the Star Trek universe will still be able to expand through the return of Patrick Stewart as Captain Jean-Luc Picard for his new series. Though his spinoff does not have a release date at the moment, Stewart is currently in the process of prepping for the series. In the meantime, as CBS All Access attempts to get Yeoh on board for a new series, fans will have to tune in for the new season of Star Trek: Discovery to see how it might set up a spinoff.